For extremely mobile professionals, having to collaborate from very noisy environments such as train stations, coffee shops, airports, or even outside at a park, is an everyday occurrence. With these people in mind, Plantronics, a pioneer in audio and wearable technology, has recently announced two new communications devices developed for those who are constantly on‐the‐go and need to sound professional in even the most challenging situations: the Voyager 5200 and Voyager 5200 UC. These powerful Bluetooth devices feature WindSmart technology, an exclusive Plantronics innovation, which ensures extraordinary wind and noise reduction. Voyager 5200 is available today in the US, followed by Voyager 5200 UC in May. Both devices will be available worldwide by July 2016. “Today’s mobile professionals face the unique challenge of staying connected while still communicating clearly and confidently from extremely challenging call environments, including crowds, traffic, coffee shops, and one of the most notorious of difficult call scenarios, a windy day,” said Jan Caldarella, senior category director of consumer solutions with Plantronics. Plantronics exclusive WindSmart technology provides industry‐leading wind and noise reduction by incorporating six layers of technology to combat the entire noise ecosystem. The aerodynamic boom on the Voyager 5200 lets wind slide past without creating turbulence. The boom’s windscreen acts as the first layer of protection for the mics, and then each mic is further sheltered in a ‘wind box’. Four omni‐directional mics and a proprietary wind cancelling algorithm keeps the mics focused on the wearer’s voice and removes disruptive noise. All‐day comfort and battery life were also top of mind when developing the Voyager 5200. Designed for stability and comfort on a wide range of ear shapes and sizes, it will fit 90 percent of people1. The device feels as comfortable on the last call of the day as it did on the first. Up to seven hours of talk time on a single charge will see you through from your morning coffee until you wrap up for the day — and with up to nine days in standby mode the headset will be ready when you need it. A multi‐purpose charging case2 serves as both a handy, graband‐go dock for recharging the headset, and a protective case that provides up to an additional 14 hours of talk time on the go. Voyager 5200 UC includes a charging case and the BT600 Class 1 USB Bluetooth adapter, making multi‐device connectivity and communication from computers, tablets, video appliances and mobile phones easy and seamless whether you are in or out of the office. Easy‐access, multi‐function button lets you mute a call with a single touch, and allows for quick access to Siri and other smartphone Virtual Personal Assistants when the headset is idle. Extended Class 1 Bluetooth range lets you control up to two connected smartphones or tablets from up to 98ft/ 30m away. Responsive smart sensor technology intuitively routes call audio to your phone or headset, pauses media or rejects an incoming call when removed, and automatically answers calls as you place the headset on your ear. Spill, splash, and sweat‐proof exclusive P2i nano‐coating means that your conversation can continue through a light rain, and an untimely spill won’t mean the end of your calls for the day. Voice commands and audio alerts let you use your voice to answer or ignore calls, and whispered alerts give you the name of incoming callers, update you on battery level, connection status, and more. Activate voice control for smartphone assistants such as Siri with a touch of a button, so you can tap into the power of your phone while working hands‐free. 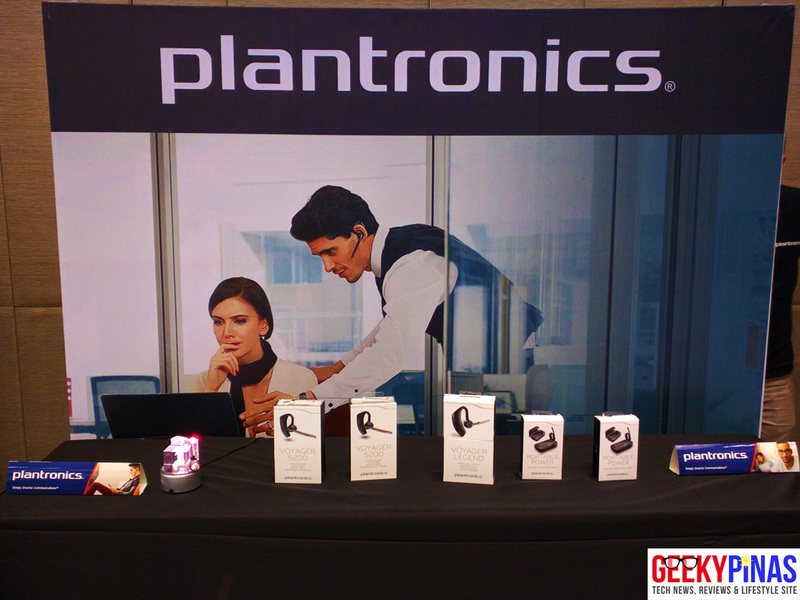 Take charge of your headset with the Plantronics Hub smartphone app for iOS and Android. Manage, customize and control the Voyager 5200 headset from your phone, adjust settings such as Caller ID and Mute Alert, activate Find MyHeadset to locate a misplaced headset, and manage sensor options, voice alert language and more. Business customers can also use Plantronics Manager Pro with Voyager 5200 UC to manage settings and perform remote trouble‐shooting when connected through the BT600 USB connector. 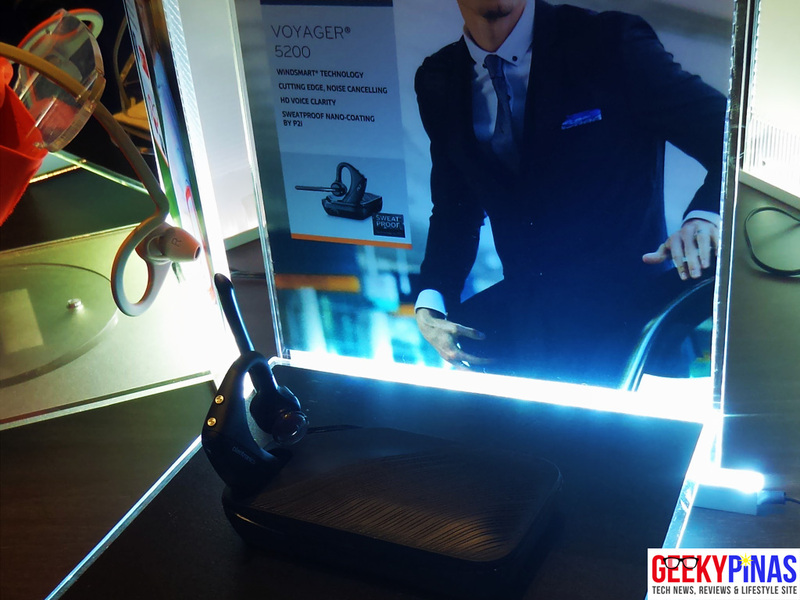 Voyager 5200 will be available at authorized Plantronics retailers, etailers, and carriers in the US immediately, and worldwide starting in July 2016. SRP for Voyager 5200 is Php5,599.